2015 Season: The Colorado Rockies finished the 2015 season sporting a 68-94 record, marking the fifth season in a row that they have not finished the year with more than 74 wins. Even though they have the Broncos, as well as tons of outdoor activities to distract them, it is becoming clear that baseball fans throughout Colorado are growing restless with the Rockies’ performance over time. Much like a struggling investment banker 6 months into the job, the Rockies can no longer hide behind the “you’re new here, it’s ok” excuse; they have now been a franchise since 1993 and have just 3 playoff seasons to show for it. For whatever reason, this franchise has not been able to get things right long term, and no amount of medical marijuana can fix that. Key Additions: Signed outfielder Gerardo Parra to a three-year/$27.5 million contract. Much like many “walk year” enthusiasts, GP chose a good season to perform at a career-high level. In 2015, Parra hit .291/.328/.452 adding a career-high 14 home runs and 51 RBI. In Coors Field, those numbers will only look better. 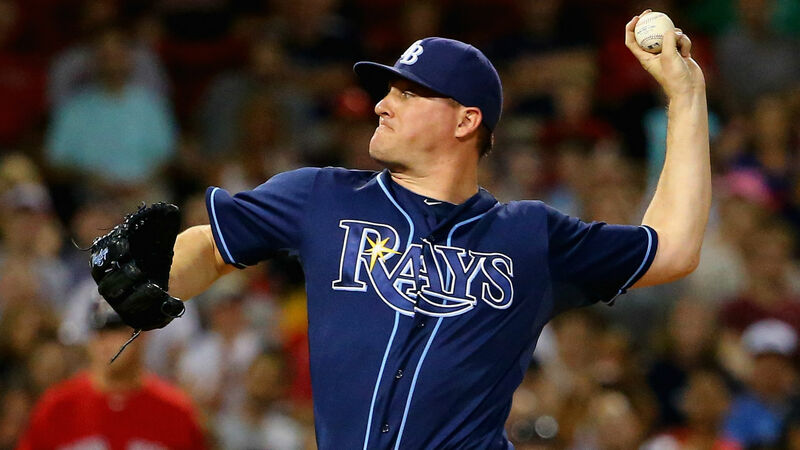 Rockies also acquired RP Jake McGee from the Tampa Bay Rays. He had a great 6 year run in Tampa, posting a career 2.77 ERA with a K/9 of 11.1. He’s also a lefty, which most closers aren’t, which should give hitters another thing to think about in the box. They also signed relievers Jason Motte and Chad Qualls to two-year deals. Both bring former closer experience and leadership to the bullpen, yet hail from different backgrounds. Motte hasn’t been the same since his 42-save season and huntsman beard made him a rising star in 2012. He had to get Tommy John after that and missed all of 2013. Meanwhile Qualls, much older, is a natural Air BnB type of guy, as this will be his 9th team in 13 years. The guy really racks up Marriott points. Key Losses: They traded outfielder Corey Dickerson to the Tampa Bay Rays in the McGee deal. Dickerson broke out in his 2014 sophomore campaign when he hit .312/.364/.567 with 24 home runs and 76 RBI. However In 2015, he dealt with an ailing foot most of the season which limited him to only 65 games. Relief pitcher John Axford joins is now on the A’s, as he was given $10 MM on a two year deal to give up bombs in Oakland. Overall, this team didn’t lose much: with any other team, trading a 26 year old .300 hitter like Dickerson looks dumb, but remember that after accounting for the inflating effects of Coors, those numbers aren’t THAT special. We will not count Jose Reyes (Domestic Violence) as a loss just yet, because he will play this year eventually when this gets cleared up, but it is safe to say that they may not get more than 120 games out of him, and this time for once it will not be due to injuries with Jose. We all know about CarGo at this point, and he is very good (albeit overrated, look at his Home-Road splits, but whatever… I digress). Truthfully, Colorado is led by All-Star and Gold Glove third baseman, Nolan Arenado. He is one of the best young players in the game, hands down. 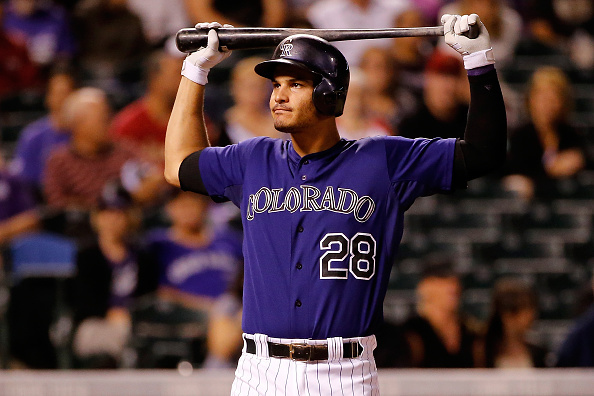 Arenado posted a career season in 2015, hitting .287/.323/.575 with 42 home runs and 130 runs batted in. If this team can get anything resembling 2006-2011 Reyes after the suspension, they could score a ton in the friendly confines of Coors Field. Yikes what ugly ERA’s, look at all those 4+ handles?!?! The Rockies’ starting staff, which ranked last in the league in 2015, is struggling to find its composure and is likely in for another sub-par season in the thin air of Coors Field. 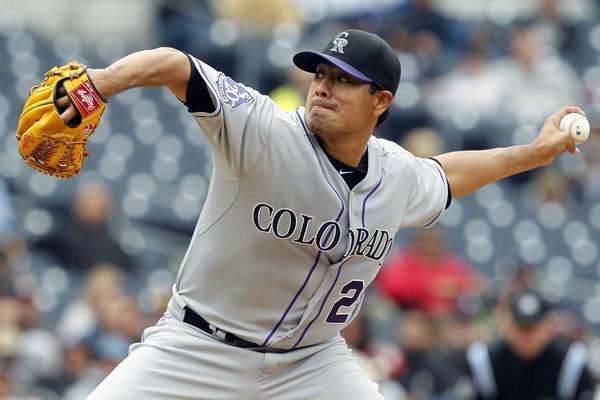 Starting pitchers for the Rockies last season had an ERA of 5.27 and allowed 984 hits in 857.2 innings. That is…abysmal. The bullpen in Colorado has potential, as it is full of veteran experience. With the Jake McGee anchoring things, the bullpen is a lot more promising than the starting staff. As mentioned before, there are many former closers here as well. If the Rockies can keep the lead heading into the eighth and ninth innings, fans should be confident to secure a victory. 2016 X Factor: The Entire Bullpen. This is actually an area on paper where the Rockies look to be strong. Lots of names in there where if you look at the back of the baseball card you’ll see good things. If you were to paint a picture of the Rockies winning 80-85 games, it would involve CarGo and Nolan leading an offense that scores 850+ runs, and the bullpen locking down shaky starts from the rotation and winning a bunch of 7-5 games. HBT’s 2016 Season Prediction: The Rox are entering the 2016 season with paltry little hope, especially in the competitive, NL West that features 3 teams that are demonstrably better (AZ, SF, LAD). If this team wants to be back in contention for the playoffs, they must find a way to develop competent power pitching that can thrive in the Mile High City. Power pitching and K’s are the only answer up there, because if it gets put in play, its leaving the yard. We got them for 71 wins, good enough for last place in NL West.